2018 was an undeniably huge year for Rhiannon Atkinson-Howatt. The brain behind transfixing nom de guerre Merpire, Rhiannon has quickly grown from nascent head-turner to powerful frontrunner of the local indie-pop scene. 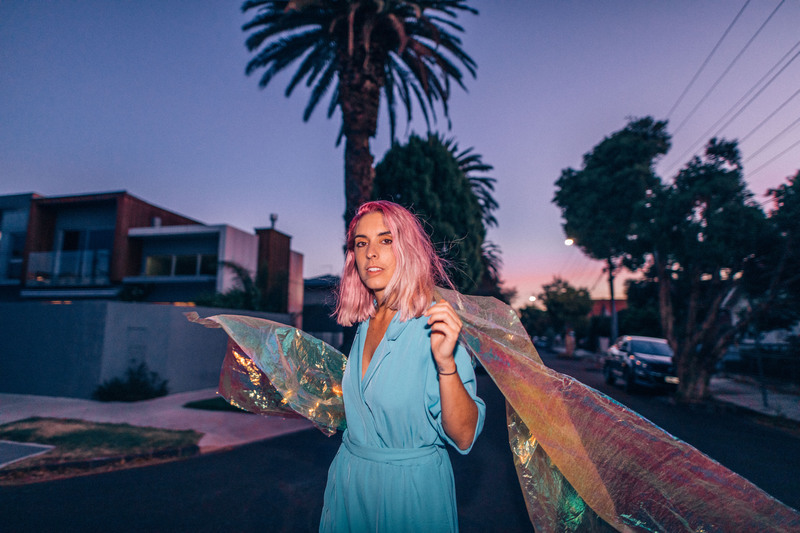 Nestling into her new Melbourne home, the past 12 months have seen Merpire release her debut EP Endless Chatter and play a slew of noteworthy live shows including a sold-out EP launch at The Gasometer Hotel. She has supported the likes of Angie McMahon, Olympia, Phantastic Ferniture, Oh Pep! and more, and recently played her biggest run of shows to date supporting Didirri on his National ‘Measurements’ Tour. up, a live show is a playful tease between intimate pop ballads and fully immersive indie-rock arrangements. Such a powerful and versatile live presence has already seen Merpire perform standout sets at BIGSOUND, New Year’s Evie and more, and has earned the young artist a run of upcoming appearances at coveted music festivals: By The Meadow, A Festival Called PANAMA, Brunswick Music Festival and Bendigo Autumn Music in 2019.